About this time last year I was actively researching workshops and instructors. Being a self taught/educated artist this was somewhat new territory for me. As a wildlife artist I have been able to learn most of what I know and use on my own through books, the internet and close study and observation of paintings of other artists. So, why was I looking into workshops now? I know that everyone is aware of the human form. Artist or otherwise we are all people experts to a degree. A child can tell if a painting of a person looks off, or not correct even if he/she has little artistic inclinations. Why? Because recognition of features is how we tell one another apart and that ability starts to develop before we can talk or walk. It is because of this I feel many artists are turned off or intimidated by painting people. It is also because of this paintings of people are more heavily scrutinized by the observer. So, in desiring to accurately paint the human figure I was committed to learning to do it only from the best. 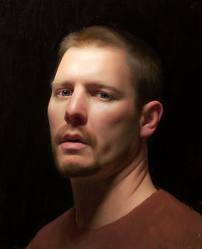 I’ll save the details of my twist of fate journey to get there for a future post, but as I researched and discovered classically trained artists to study with I narrowed it down to Scott Waddell. After viewing his “webisodes” on YouTube, visiting his website and blog I decided to book my flight to spend two weeks studying with him at the world famous Grand Central Academy of Art in New York City. 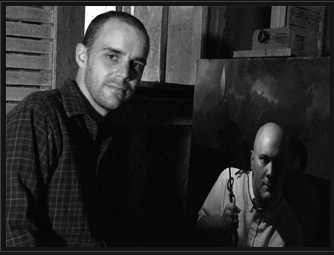 Originally from Florida, Scott received his BFA from Florida State University, then spent time studying with Douglas Flynt (another brilliant painter) before leaving Florida to enroll in the Florence Academy. He later returned to the states where he enrolled at Waterstreet Atelier (Now Grand Central Academy of Art) under the one of the best, Jacob Collins. After completing his education there, he was asked to stay on as one of GCA’s instructors where he continues to educate today. Those two weeks with Scott have redirected my path in painting. I had never encountered anyone with his level of knowledge, coupled with the gift of great communication and instruction. From anatomy to the physics of light on form to color theory to drawing method to modeling form, there was not a single area he was not able to advance my knowledge. This coupled with his demeanor and clear desire to transfer the information in his head to his student’s made the entire experience unforgettable. If you ever have the opportunity to study with Scott I highly recommend you jump at the chance. If, however that is not an option, the next best thing would be to view his webisodes on YouTube or better yet, visit his website www.waddellfinearts.com to download full-length videos on portrait, the figure and his newly released video on painting the still life, which includes forty minutes of bonus video with commentary. Subscribe to his blog while you’re at it to keep informed on future workshops and videos at scottssketchbook.blogspot.com. This entry was posted in Thinking Out Loud and tagged Douglas Flynt, Grand Central Academy, Jacob Collins, Scott Waddell. Bookmark the permalink.